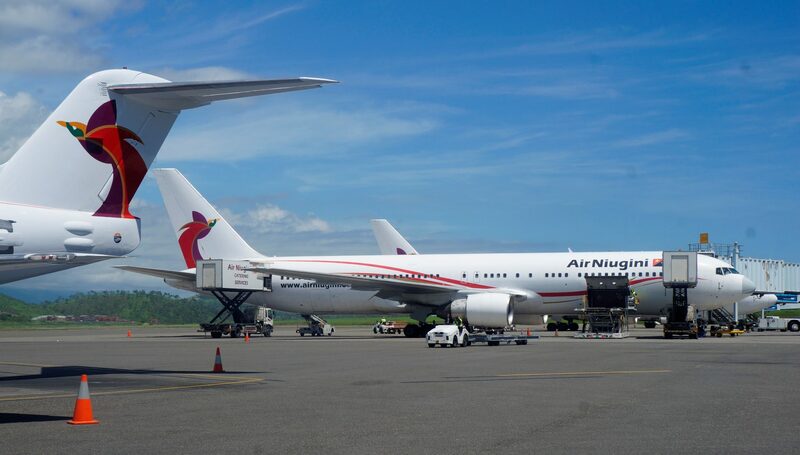 Due to increased movement of personnel and aircraft at Port Moresby’s Jacksons International airport during the busy Asia Pacific Economic Co-operation (APEC) summit, certain Air Niugini flights on the main APEC days, 17th, 18th and 19th November have been retimed to allow for movement of the world leaders and their entourage. Most of our flights are per the normal schedule, however morning operations on the 17th and 18th November to/from Port Moresby and Gurney, Kavieng, Rabaul, Madang, Lae and Cairns have been retimed to depart up to an hour later. Passengers who wish to check their new flight times on the dates mentioned can call your nearest Air Niugini Sales office, travel agents or the toll free number 180 3444 to confirm. General Manager Corporate Services and ANG representative on APEC , Mr Marco McConnell, said the airline is closely monitoring all flights to ensure a smooth operation for both APEC and also the airline’s scheduled flights. APEC is a regional economic forum established in 1989 to leverage the growing interdependence of the Asia-Pacific region and to ensure prosperity for the people by promoting balanced, inclusive, sustainable, innovative and secure growth and by accelerating regional economic integration. This is Papua New Guinea’s first time to host APEC and Air Niugini, like many organizations within the country, is doing everything it can to ensure we as a country deliver a successful outcome for this significant APEC event.